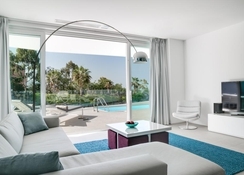 Discover the Baobab Suites on your Tenerife holiday and prepare yourself for a memorable stay in a luxurious setting. The Baobab philosophy is that your hotel stay should be tailored to what you want, from your own private pool to even choosing what you want and when you want your breakfast. Rooms range from single bedrooms to three- and four-person luxury suites with every amenity you need for a comfortable stay. Take advantage of Baobab's personal services, whether you want a relaxing massage at the Wellness and Beauty Centre, burn some energy at one of the many sports facilities or a place for your little ones to enjoy themselves in a safe and fun environment. Plus, with the taste sensations of several exceptional restaurants on your doorstep and a beautiful seafront view, your stay is guaranteed to be one to remember. Situated on a hill, the elevated position of the Baobab Suites affords stunning views over the island and out to the sea. 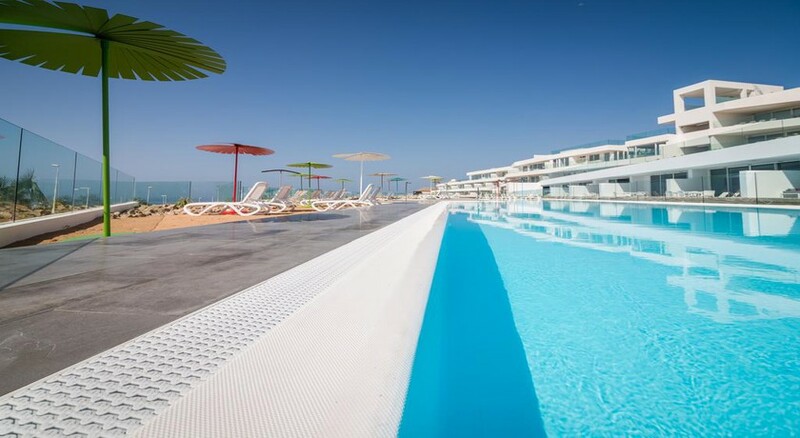 You can reach the Baobab suites from Tenerife South Airport in less than 20 minutes (19km). The seafront is a brisk few minutes' walk away as are some of Tenerife's finest restaurants catering to a global palette. Baobab Suites are conveniently just a quick car ride away from many attractions and activities to suite all tastes, from water activities for all the family to great shopping experiences and even a beach front casino! Would you like to know why the hotel’s guests spend a lot of time in their suites? 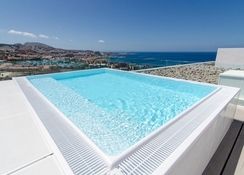 The massive space, which is exaggerated by floor-to-ceiling windows make the marvellous ocean and the glistening cloudless skies of Tenerife a part of your suite. 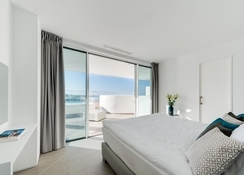 All that you have to do now is choose your pick from this collection: Boutique Suites- Boutique XS, Boutique Eden, Boutique Suite, Boutique Lago, Boutique Rio and Boutique Mar. Serenity Suites (2 Bedroom)-Serenity Pico, Serenity Suite, Serenity Lago, Serenity Rio and Serenity Mar. 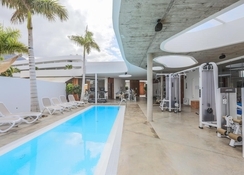 Vitality Suites (3 Bedrooms)-Vitality Rio and Vitality Mar. Luxury Suites-Breeze Suite, Luxury Liberty, Luxury Essence, Luxury Allegra, Luxury Elegance, Luxury Harmony, Luxury Indulgence and Luxury Euphoria. All the suites come equipped with excellent features, including fridge/freezers, washing machines, sunbeds and tea and coffee making facilities. There are four on-site restaurants and bars serving reputedly some of the highest quality culinary experiences anywhere on Tenerife. Dine-in or grab some poolside snacks at BB. Restaurant, or pile your plate with something more substantial at the Bite. Buffet Restaurant. Head to Fuel Restobar that offers a range of light and healthy lunchtime meals and snacks, while Sucas is a culinary destination in its own right offering fine-dining with some Canarian flair. Guests can also select in-suite dining for a more private and intimate culinary experience. There are a host of entertainment experiences to be had both in and around Baobab Suites. 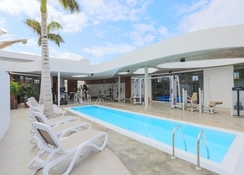 On-site activities include tennis, swimming and running or more gentle activities available include yoga and Pilates classes. Children will love the Sapling Kids' Club, a colourful and vibrant centre with a wide range of activities to keep them entertained all day long. Alternatively, pop into the Experience Centre, where the friendly staff will be glad to help organise an amazing trip to one of Tenerife's awe-inspiring sites. Those who are interested in golf can take up a personalized golf course or play a full game on the 18 holed golf course.